Works well on all hair types – natural, relaxed, damaged, dry, etc. I can’t say exactly how much I used. I just added until I had the consistency that I wanted. 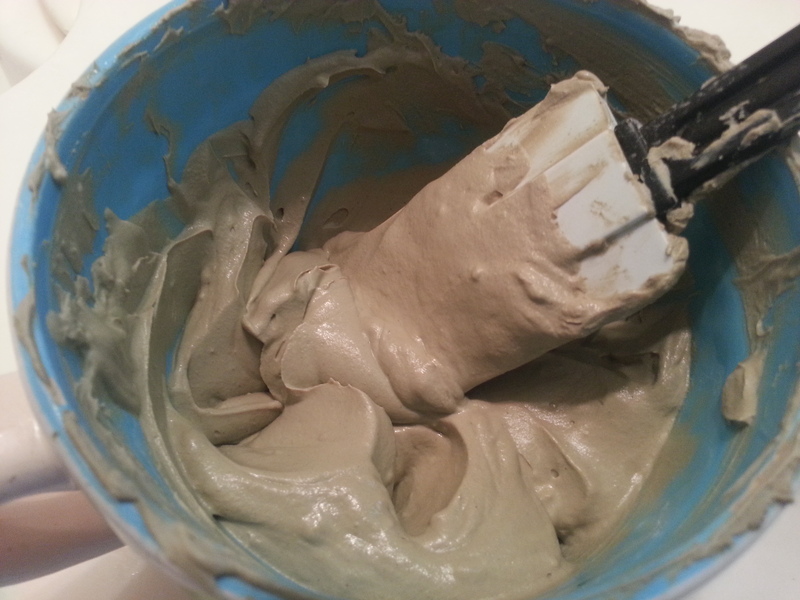 Once the mixture was smooth, I applied it to my hair from root to tip, using a downward motion. I’d pre-pooed my hair the night before. Before applying the clay, I wet it but I didn’t rinse the oil out. 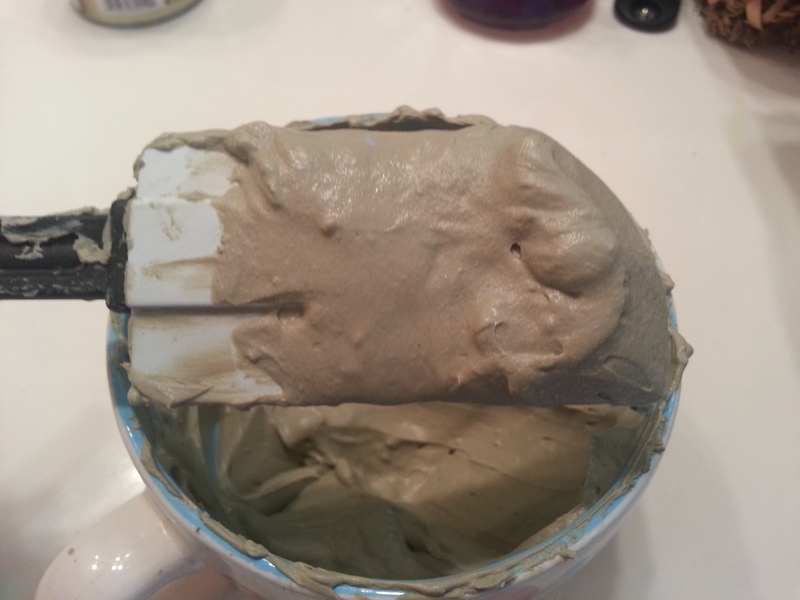 From my research, I found that some oil in the hair makes it easier to apply the clay. This seemed to be true because the application went seamlessly and was not messy as I expected. 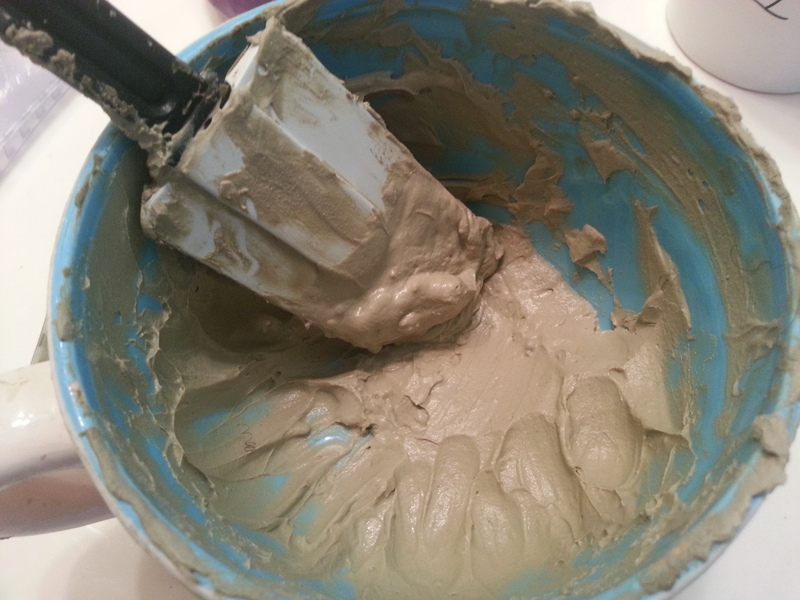 I left the clay on my hair for about an hour or so. I really don’t recall how long because I got caught up in the TV. If it wasn’t for my face tightening up so much as the clay dried, I probably would’ve left it on longer. But from what I understand, it doesn’t need to stay on too long to do it’s job. 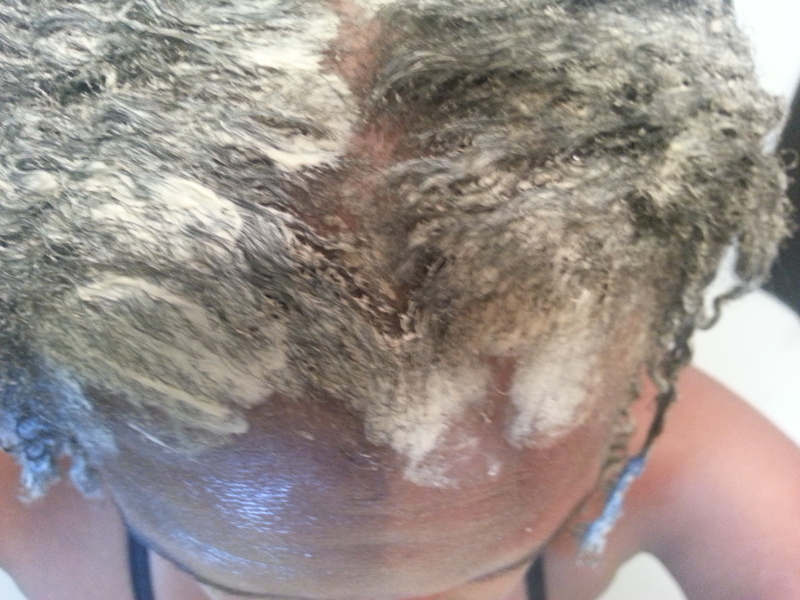 After rinsing, which was not difficult at all to do, my hair felt very clean, but not stripped. My curls were defined, my hair had a nice sheen, and was soft to the touch. 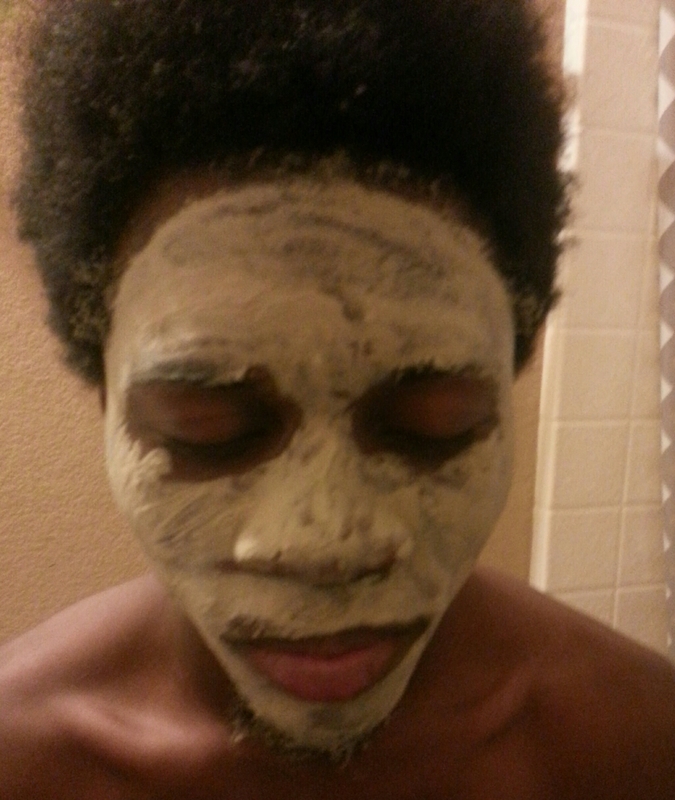 I had some leftover, so I applied it to my face since it’s great for skin as well. 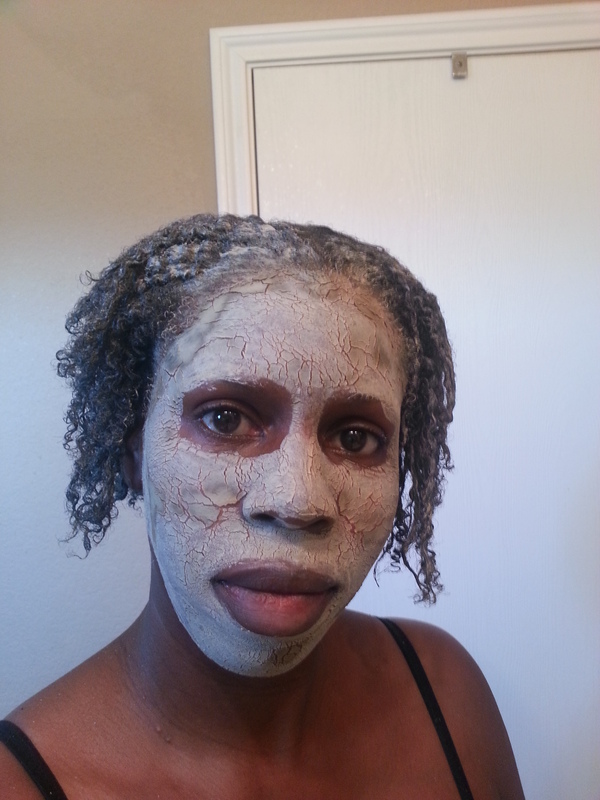 After the clay dried…I was actually smiling in this pic! 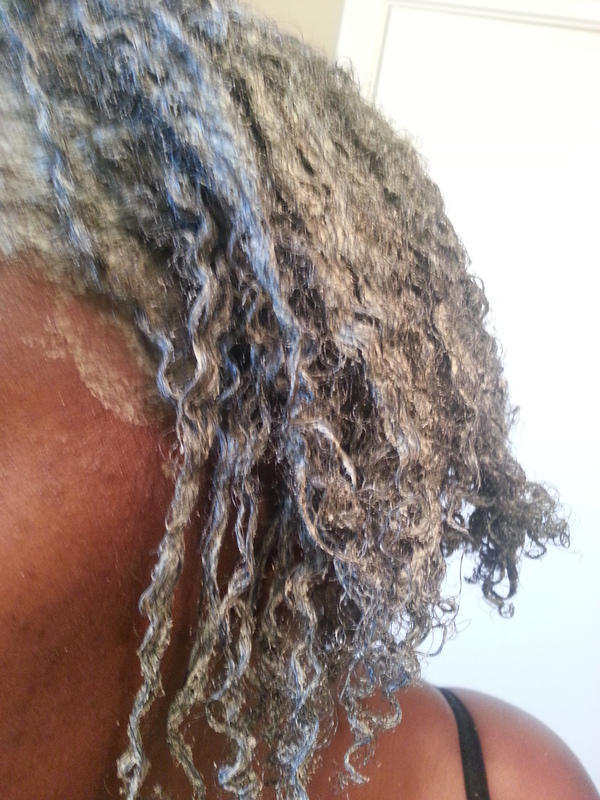 Overall, I was pleased with the results of using bentonite clay. I will keep using this as a regular part of my regimen. Being that it continues to agree with my hair, I’m thinking I will use it to clarify my hair, rather than the clarifying shampoo. 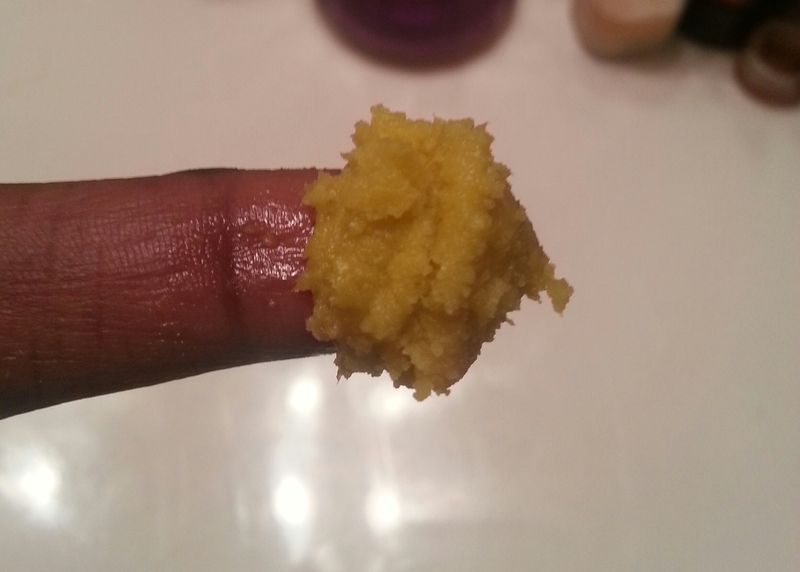 So, if you read my reviews about Bee Mine’s Bee Mine Curly Butter (click here for Part 1 and here for Part 2) , you know that I’m re-evaluating my stance on patronizing the small business owners that cater to African American women. If you haven’t been a follower of my blog, you can read about this here and here. That being said, I’ve purchased another butter based moisturizer to use when water based ones are not suitable, as in when my hair is in a twist out or stretched state. 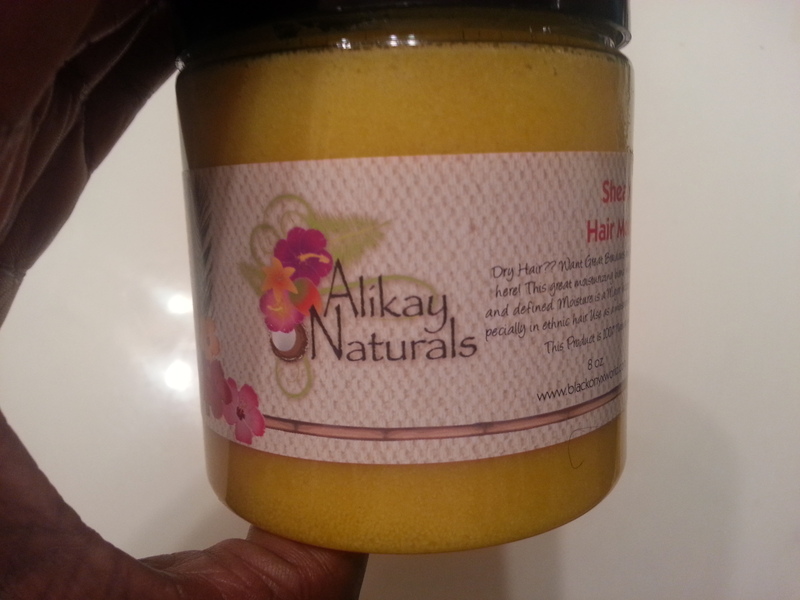 This one is Alikay Naturals Shea Yogurt Hair Moisturizer. I saw a review of this on another blog that I was reading and I was intrigued by the name, which caused me to look further into this company’s products. DRY HAIR?? 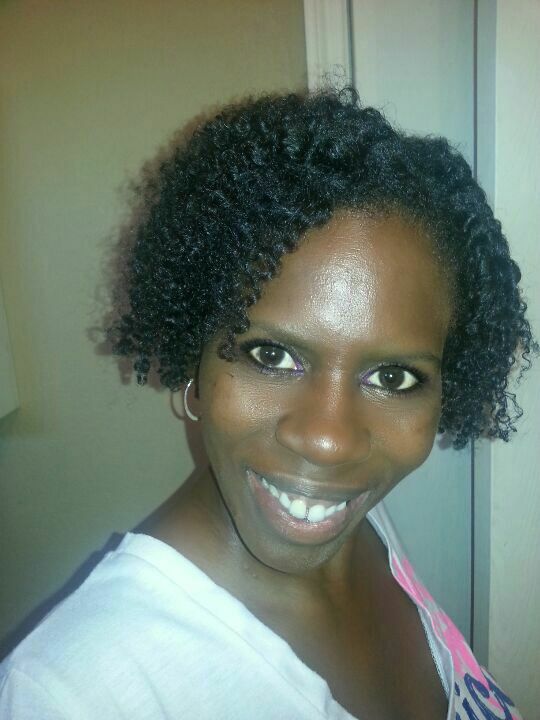 Want Great Braid outs and Twist outs? Shea-Yogurt is here! This great moisturizing blend will leave your hair shiny, soft and defined. Moisture is a MAJOR factor in healthy beautiful hair, especially in ethnic hair. Use as a moisture therapy and for daily styling. You should moisturize your hair daily. A little yogurt goes a long way. 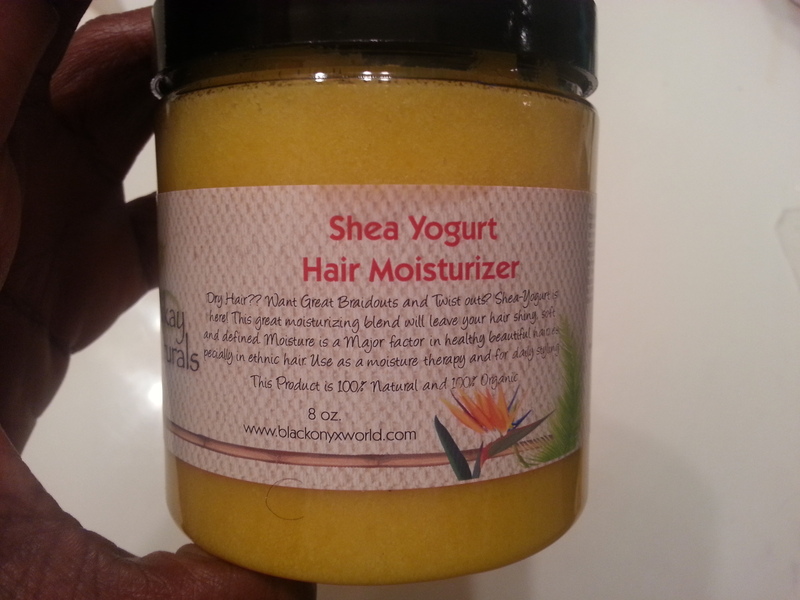 Raw shea butter hydrates your hair from root to tip, to replenish moisture. Also keeps scalp healthy without clogging pores. 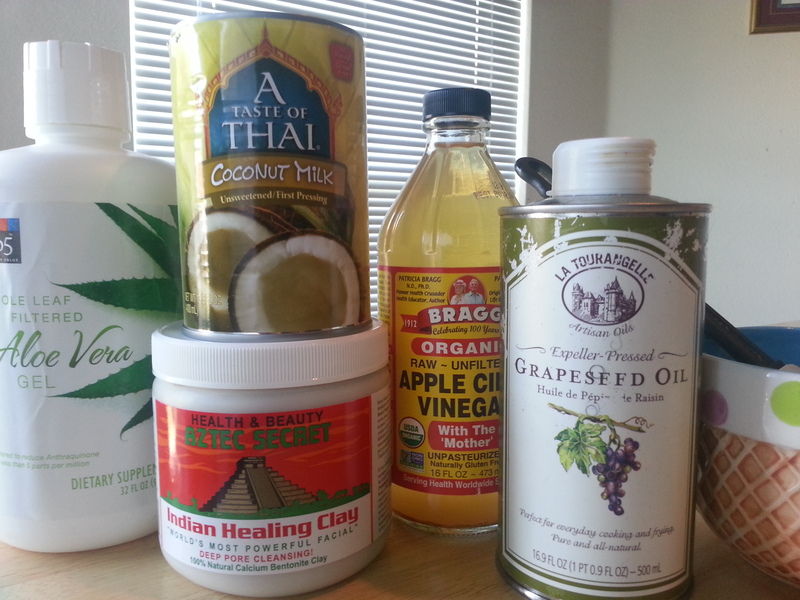 Get Moisturized! Can be used on wet or dry hair. On wet hair wash, detangle, apply leave in conditioner, part hair in sections, and apply a SMALL AMOUNT to each section as you go. Rake it into hair – may feel oily, but will absorb in hair as hair dries. Apply extra to ends to help seal moisture, then braid, twist, cornrow hair or style as usual. Use paper towel to gently pat off excess, the rest will absorb. This butter is 100% all natural and 100% organic, which is a plus since I’ve been trying to add more of these to my regimen. Like the Bee Mine line, these products are only available at select stores or online. The line is carried by Target but not all of them. It is available in 2 oz travel size for $6, 8 oz for $16, 16 oz for $27, or a huge gallon for $205. I decided to get the 8 oz and ordered online since it was more convenient. The Target location that I found closest to me is about 30 miles away. It took quite a bit of time for this product to arrive after I ordered it – almost two weeks! It took almost a week for the order to even process, which was frustrating being that the product isn’t made to order. When the package finally arrived, I opened it and found that the contents of the butter had separated – partially oil and butter. But once it sat for awhile they came together to form a whipped, yellowish-orange butter. The color is one I’ve never seen before in a hair product, it’s kind of a strange color, but I like it. The texture is light and kind of froth-like, nothing like yogurt. It seemed to melt in my hands as I rubbed them together. It smells delish, like it could be edible. It has a citrusy fragrance and it lingers in the hair! I love it, but it may be a problem for anyone with a sensitive nose. 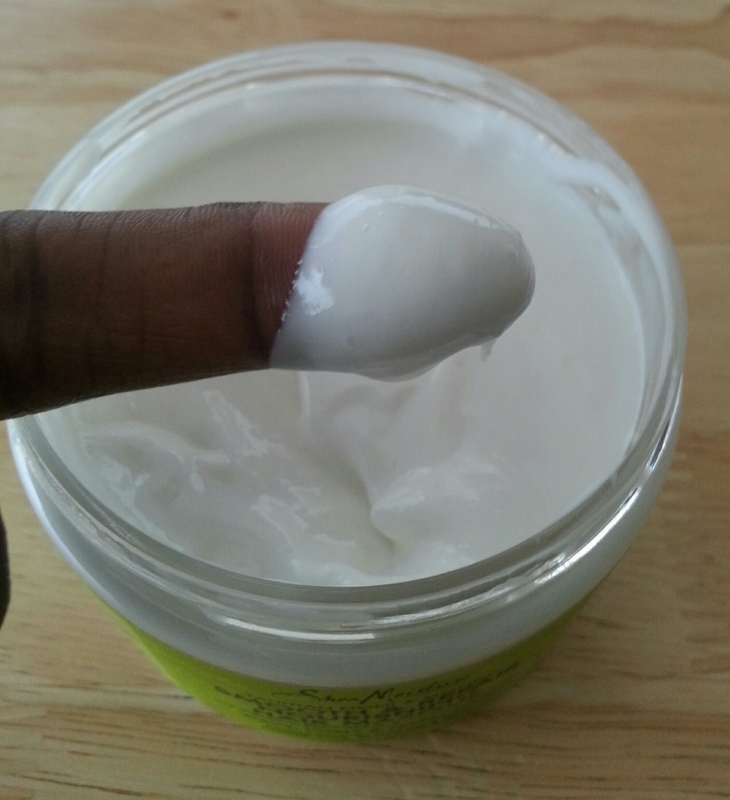 I’ve been using this moisturizer for a week and I can definitely see why users have fallen in love with it!!! When using it on damp hair, it made my hair unbelievably soft and shiny. It stayed that way all day! This hair butter moisturized AND sealed my ends and my hair held it’s moisture longer. As indicated by the directions, a little goes a long way. If you are heavy handed, it will leave your hair a bit greasy. But once I figured out the amount that I needed for my hair, I didn’t have a problem. This product does not provide any hold, so it won’t work as a styler. I can’t wait to see how it works on dry hair. I’ve always thought that spending such a hefty amount of money on a hair product was crazy! I never thought that I’d do it. So far, this has been one of the best $16 I’ve ever spent. I will be adding this butter to my arsenal of go-to products. I’m so glad that checking labels before putting products into my hair is becoming 2nd nature to me. 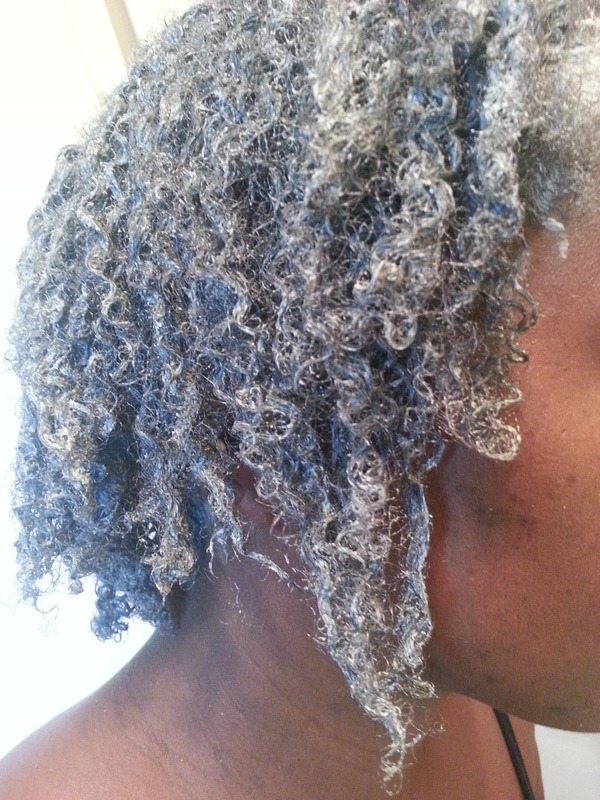 I’m going to have to make sure that I always check BEFORE purchasing, even if it has been recommended by someone that I consider to be a reputable authority in the natural hair community. …after I saw a review of them by a well-known blogger. Now I’ve followed her enough to know that she is not against cones, but I would have definitely thought some of the ingredients in these products would have unacceptable. Here’s a rundown of the ingredients that I will not be putting in my hair, especially now that I am trying to recover it from damage. At this point in time, there is no way these products will touch my hair, especially since I’m already trying to recover it from damage. I understand that neither of the ingredients are listed as the top five, but I can’t chance doing more harm to my hair now. Has anyone used these products? What are your thoughts? Uhhhhh so, yeah…I’ve been using the Bee Mine Bee Hold Curly Butter for the past three days so I can provide an update. First things first, I HATE THE SMELL OF IT!!! The scent smells artifical and nothing like coconut (it’s supposed to be coconut cream). It reminds me of medicine. In my first review, I mentioned that the smell was not appealing but it wasn’t overpowering. Well I’m now guessing that had to do with the fact that it was disguised by other products; because right now that’s the only product I have in my hair and it’s lingering and is very noticeable. I keep asking myself what is that awful smell then I remember it’s my hair. I’m on 3rd day hair and I didn’t reapply product last night since I only pinned it back and didn’t retwist. 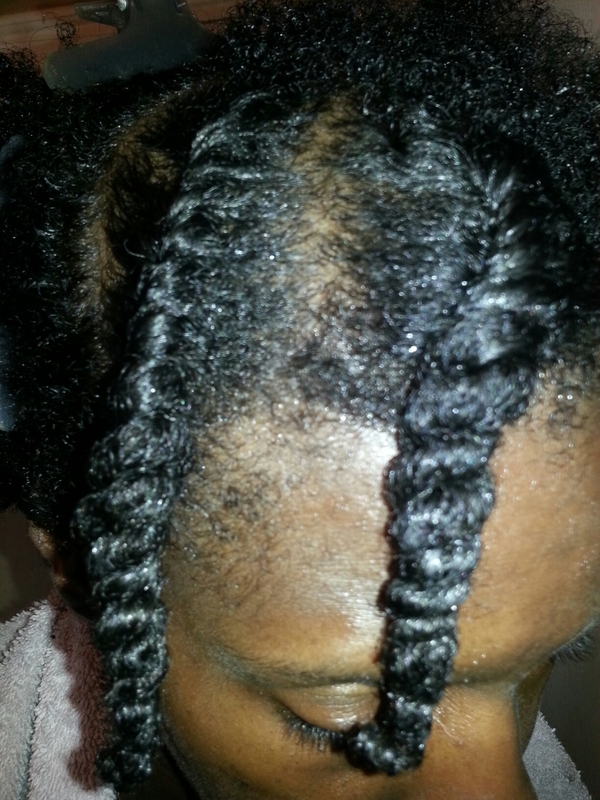 I did on day one though because I retwisted. I still had some curl definition left this morning, although yesterday it did start to get a little puffy after I went out in the heat. This is definitely not a product with holding potential, at least not for my hair. The reason I bought this butter was to be able to use it on my hair in its dry state. I was able to put it to the test today since my hair is stretched. I reapplied product this morning because my hair can’t go too many days without moisturizing. 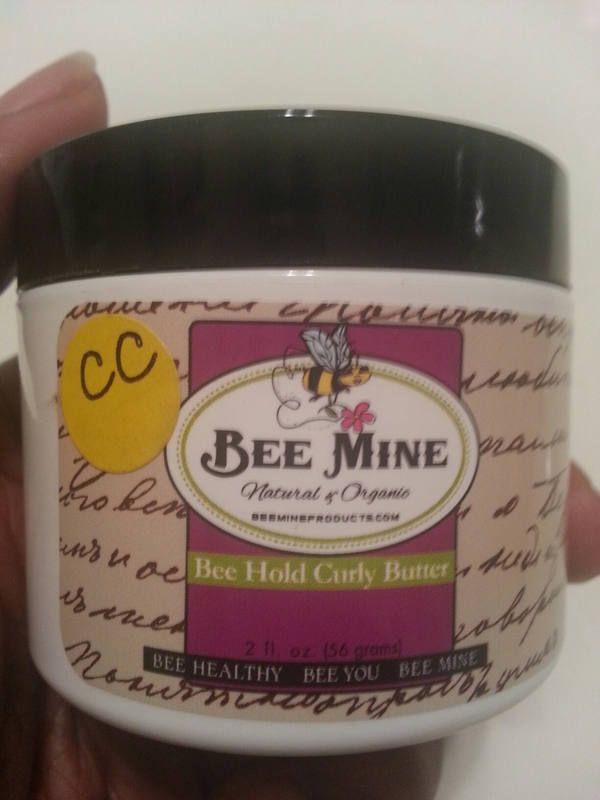 I’m disappointed to say that Bee Mine Bee Hold Curly Butter fell short of my expectations. My hair is frizzy and it left a greasy film on my hair. Previously I used other products on top of this butter and maybe that’s why I didn’t notice this before. My hair felt moisturized for a few minutes but after a while, not so much. It wasn’t really dry, but it wasn’t moist either. 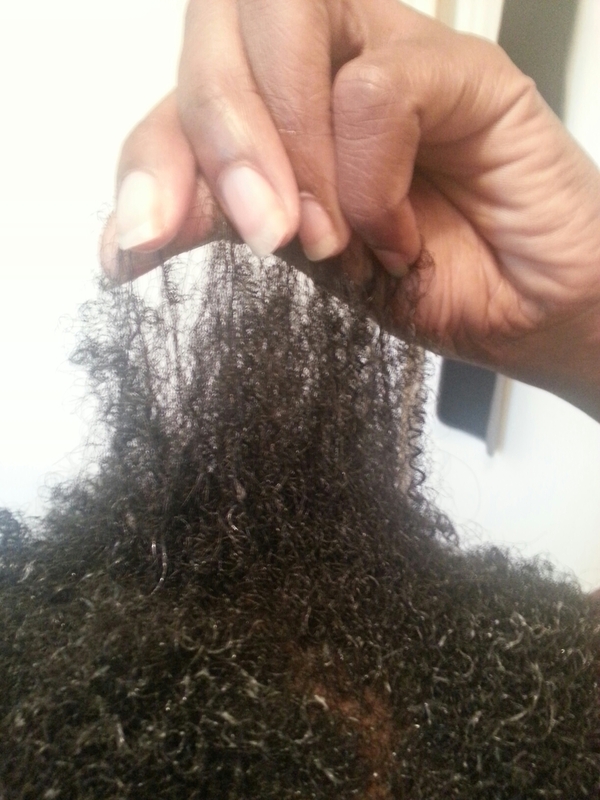 When I can hear rustling of my strands when I rub them together, I know my hair is lacking moisture. A plus…this product works well on wet hair, which is how the directions recommend to use it. However, that’s not meeting the need of why I purchased it. I will use the rest of this but I probably won’t repurchase since I already have a product that works just as well. 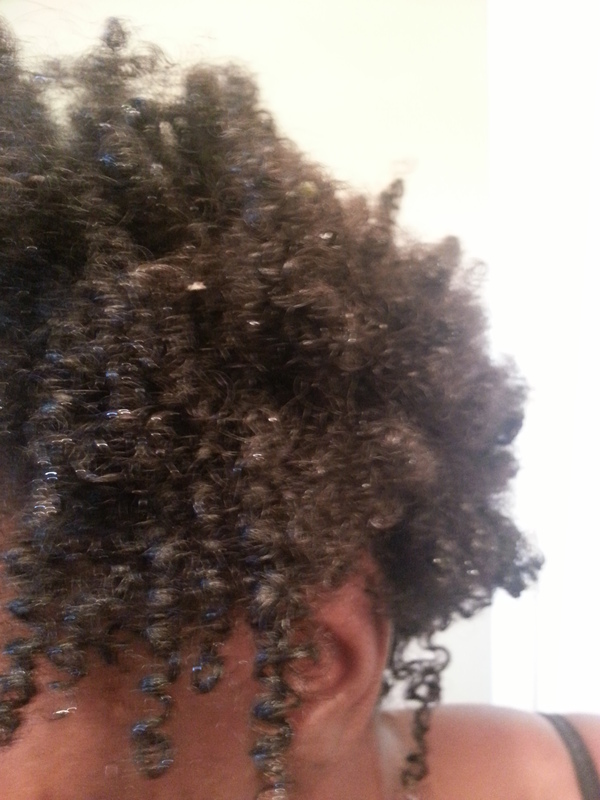 (Meant to take pics but I forgot and LOCed my hair – using the Bee Mine Bee Hold Curly Butter for my cream). If you’ve been following my blog, you know that I’ve been on the lookout for butter based moisturizers for those times that I’m rocking my twist outs, so I don’t have to moisturize with water or a water based moisturizer and disturb my curl definition. I searched and searched and finally I found a couple that I’m trying. One of them is from the Bee Mine line of products. These products are manufactured by a small, woman owned, African American business. Now those of you who have followed my blog for awhile, know that I’ve never found this to be of particular importance and I’ve always thought the products were drastically over-priced. However, I’m starting to change my line of thinking. It’s been said that you get what you pay for. From my research, I’ve found that many of these companies use all natural products and being that they cater to women that look like me, I should at least give them a try. The products from this line have received excellent reviews though I must say, as I perused the Bee Mine company’s website, I didn’t get a feeling of a friendly, customer oriented business. But this review isn’t about the company, but the product, so I won’t get into that. The Bee Mine line of products are not sold in retail chains. Nor are they sold on Amazon. They can only be purchased from select beauty supply stores or online. The beauty supply store closest to me that sell them is about 25 miles away. And y’all know me enough to know that drive was not going to happen. So website purchase it was. Now if I like this product and decide to add it to my regimen, I will stop by and pick it up when I’m on that side of town. Our Bee Hold Curly Butter is shea butter and aloe based curly butter is packed with rich moisturizing nutrients to give you long lasting moisture and promote growth. It has a soft touchable hold that will help to defrizz your frizzes and give great definition. 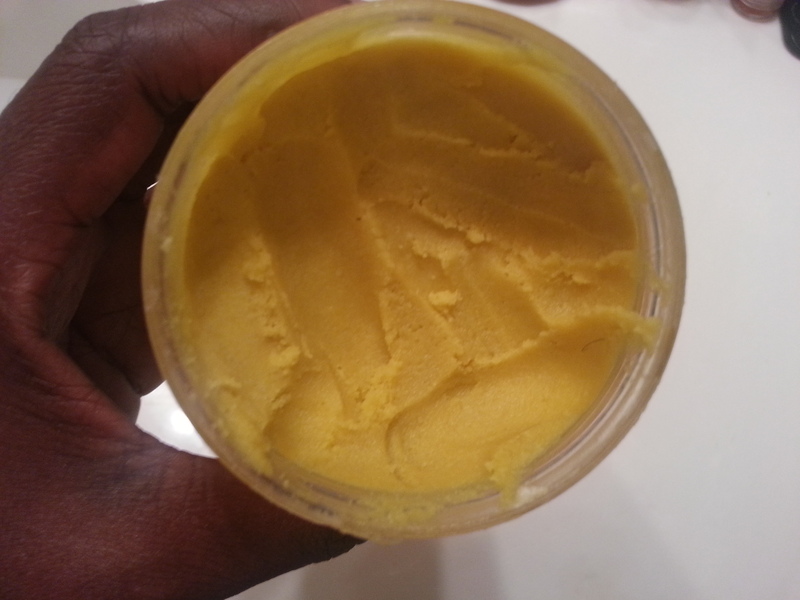 This Curly Butter is wonderful for twists, finger curls, puffs/pony tails and especially for laying down unruly hair. Great for naturals, relaxed, texlaxed, everyone. Phenoxylethanol – Preservative believed to be less irritating than others. Can also be used as a fragrance [Winter pg 399]. Phenoxyethanol is mild to the skin but can be hugely irritating to eyes—though it isn’t found to be irritating in the tiny amounts normally used in products. Surprisingly, it also has some conditioning and emollient properties. Caprylyl Glycol – Used for conditioning and as an emollient that’s made from both plant and synthetic sources [Gottschalck pg 423]. Made from capric acid and glycol [Winter 7th ed, pg 133]. I’m a inquisitive person by nature. 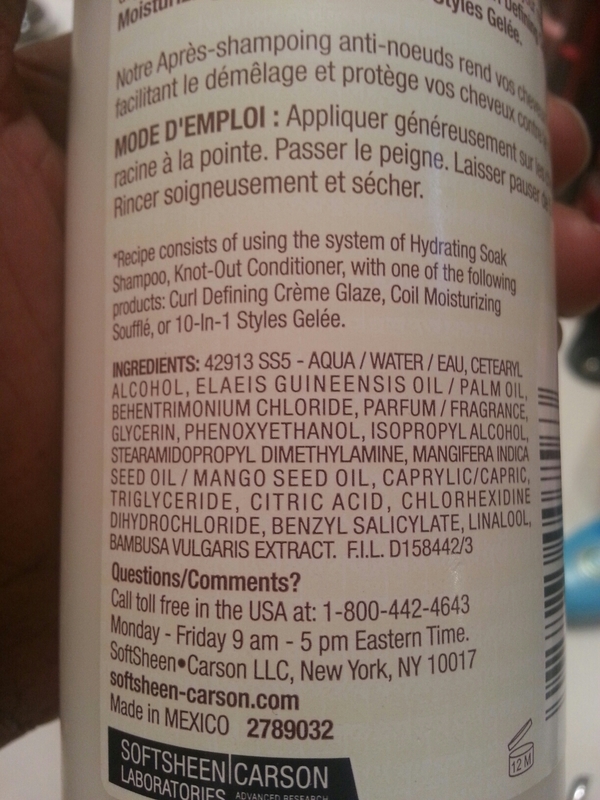 So, I can’t help but to wonder why these ingredients weren’t listed on the website as well. For a person like me who is already skeptical to begin with it makes me start to question integrity. The website ingredients does state: Paraben & Formaldehyde Free Preservative. However, this could be misleading to some. Maybe, I’m reading too much into this, but that’s who I am…that’s what I do. It’s my blessing as well as my curse. LOL I guess I should get on with this review. Apply to wet or damp clean hair, detangle in sections, smoothing through thoroughly. Style hair with your fingers. The Bee Mine Curly Butter is offered in the following sizes: 2 oz Trial Size – $4.50, 8 oz – $13.97, and 16 oz – 23.00. The scents that are available are Coconut Cream, Island Mango, and Unscented. I ordered the trial size so I could try it out and see how it works for my hair. I also ordered trial sizes of the BEE-U-Ti-FUL Moisturizing Deep Conditioner, and the Bee Mine Strawberry Kiwi Hair Growth Serum. I will post reviews of these as well. The website states that it takes several business day to process orders. However, my order was processed the same day that I ordered it and I received it within two days. It was mailed by USPS 2 Day Priority Mail. That was a PLUS. First off, let me begin by saying I strongly dislike (I won’t say hate…it’s such a harsh word) the smell. I ordered the Coconut Cream, which smells nothing like coconut. It smells synthetic and more like a medicine. But, since it’s not an overbearingly strong, in your face scent, I can deal with it. This butter is a thick, white cream, which is just what my hair needs if it performs well. The consistency reminds me of a face cream. I used the butter on freshly washed hair. I sealed with grapeseed oil and then applied it along the length of my strands, making sure to focus on my ends. 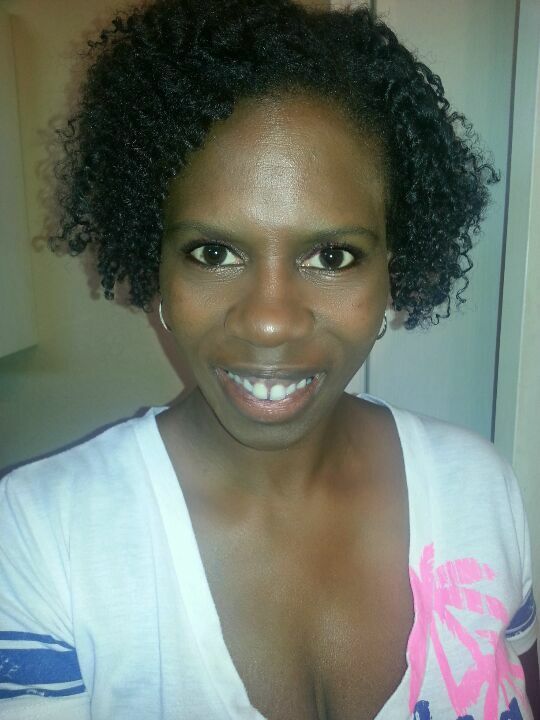 My hair seemed to love it because I had curls popping all over the place! Winning! 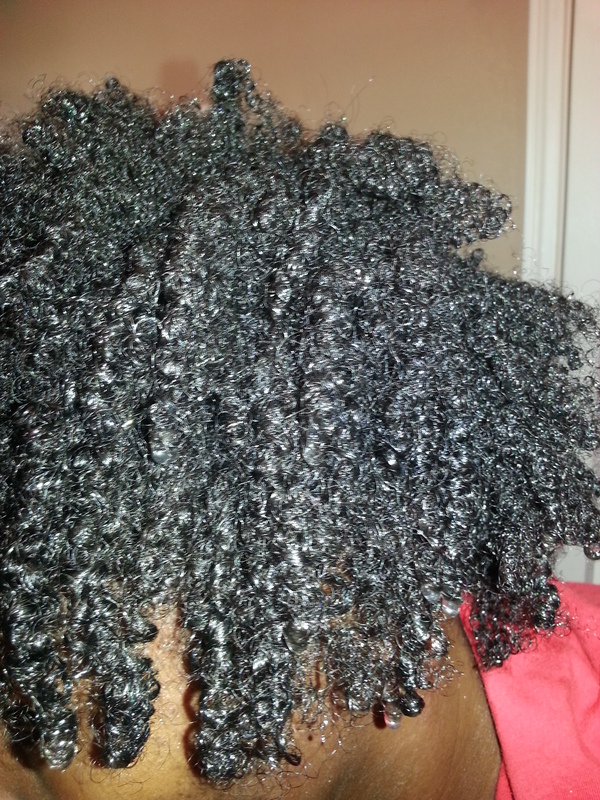 Afterwards, I applied Olive Oil EcoStyler Gel and flat twisted. My twists were nice and juicy and the ends were sealed very well. So far, I’m happy with this butter on my wet hair. The real test will be in how well it seals in moisture on my hair when it’s in its dry state. I will be posting an update once I’m able to test it out. Here’s my hair after unraveling the twists. 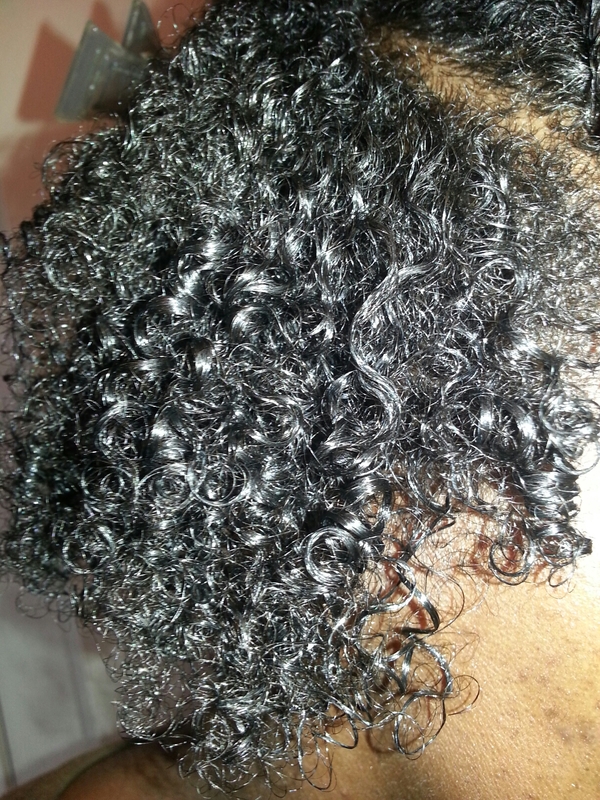 It’s soft and shiny, but not greasy, and my curls are fantabulous! I have TWIST OUT LOVE right now!!! I ❤ Shea Moisture products! 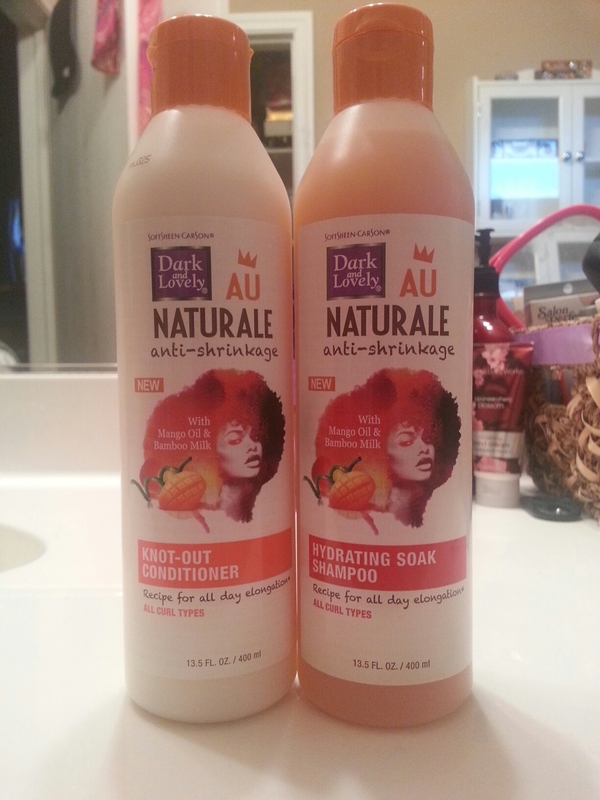 I have been using the Shea Moisture Raw Shea Butter Restorative Shampoo and Conditioner, as well as the Coconut and Hibiscus Curl Enhancing Smoothie for over a year now and they work well for me. I like the fact that they’re 99% all natural, which means less synthetic ingredients in my hair. Our intensive treatment deep conditions and infuses hair with a powerful dose of moisture. Certified organic Shea Butter, revitalizing Tahitian Noni and Monoi Oil, blended with Keratin, Peptides and Botanical Extracts hydrate, strengthen and repair frizz, flyaway hair. Helps smooth hair cuticle, controlling frizz and maintaining straight styles. Tahitian Noni – Antioxidant Vitamin C helps maintain hair’s health. 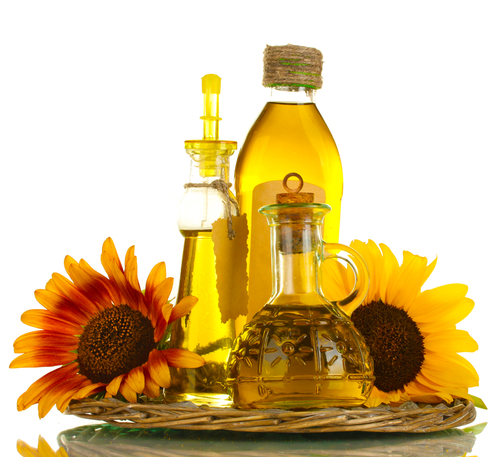 Monoi Oil – Reparative benefits revive dry, damaged hair. Keratin – Smoothes and reduces flyaways while moisturizing hair. Peptides – Antioxidant protection helps promote healthy hair growth. Botanical Extracts – Heat activated enzymes strengthen and protect hair during heat styling. Section clean wet hair. Apply generously. Use a wide tooth comb to distribute evenly from root to ends. Leave in for 5 minutes. Rinse thoroughly. For extra-conditioning cover hair with a plastic cap. Apply moderate heat for up to 30 minutes. Rinse thoroughly. When using a hair steamer do not cover hair. Moist heat will add to the masque’s hydration. I love the smell of this conditioner! It smells like baby powder and gardenias. I ❤ gardenias! The consistency is a loose cream and not thick at all. The directions indicate to apply generously. I found even in doing so, a little goes a long way. That’s definitely a plus! 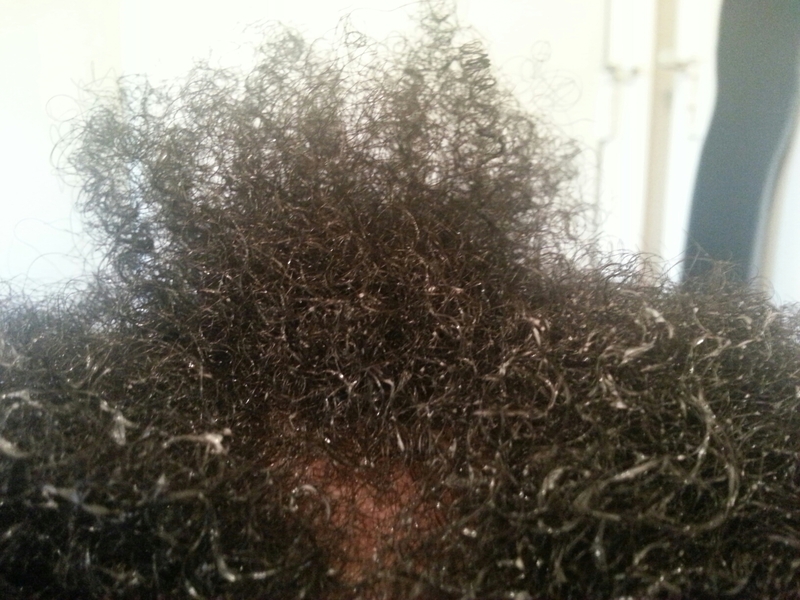 I had pre-pooed overnight using coconut oil. Before washing, I deep conditioned for 30 minutes using a mixture of Shea Moisture Coconut & Hibiscus Curl and Style Milk and vitamin E, JBCO, and Rosemary oils. I washed using my Rosemary Nettle Shampoo Bar. 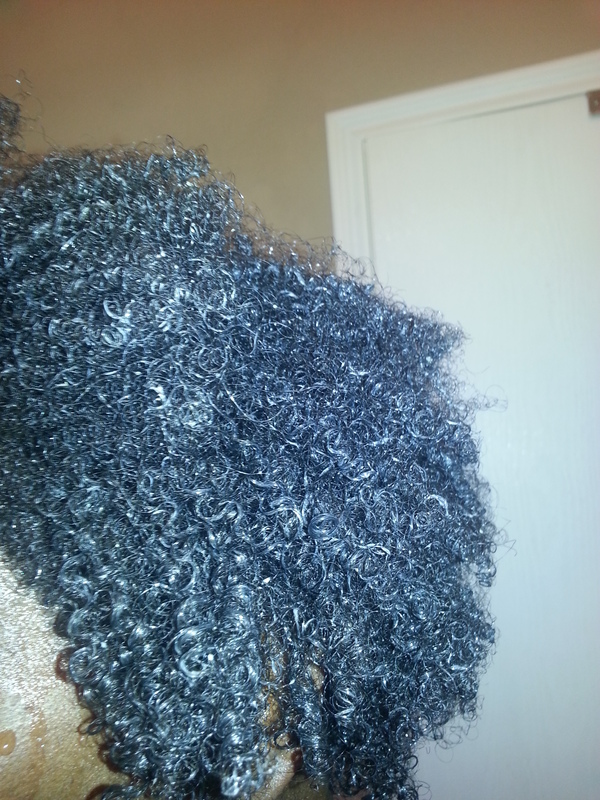 I then did an oil rinse using EVOO and afterwards applied the Shea Moisture Smooth and Repair Nourishing Hair Masque. 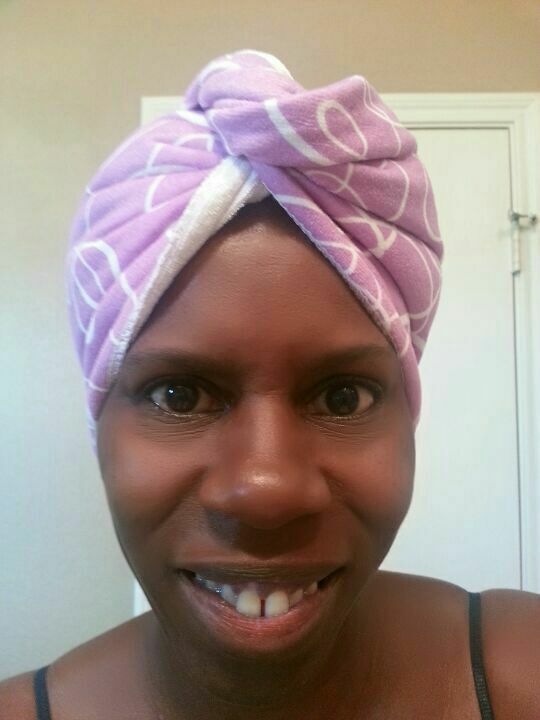 I covered my hair with a plastic bag and then with my deep conditioning cap. I did a second deep conditioning. Since the conditioner is so thin and being that my hair was wet, I expected the conditioner to run as it sat on my hair, but it didn’t. I kept the conditioning cap on for about it 30-45 minutes, but I got busy and didn’t rinse the conditioner out until maybe after an hour and a half. 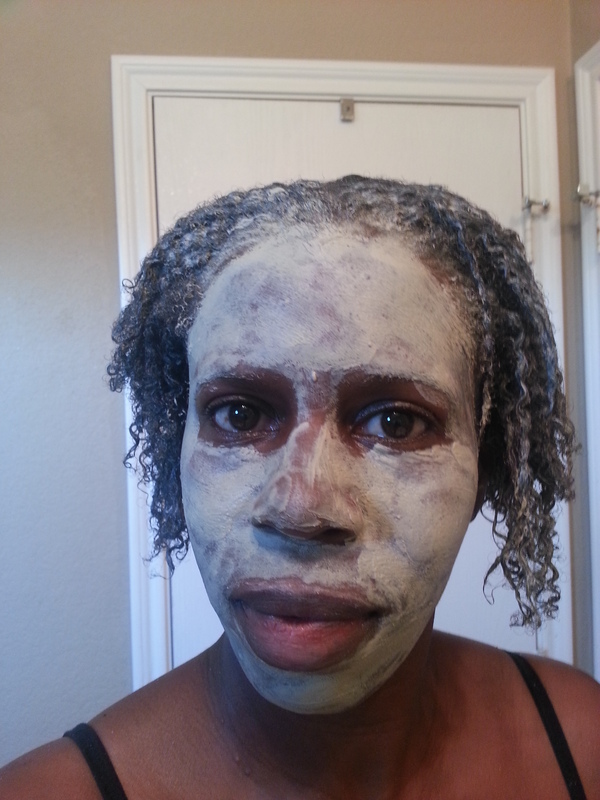 This deep conditioning masque did not disappoint! 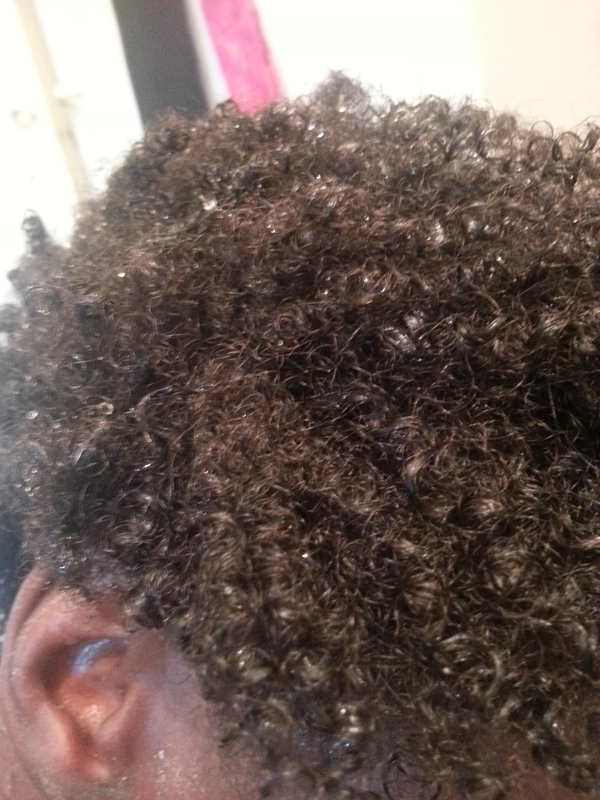 After rinsing, my curls were already starting to clump and were nicely defined; my hair was nice and shiny and soft! 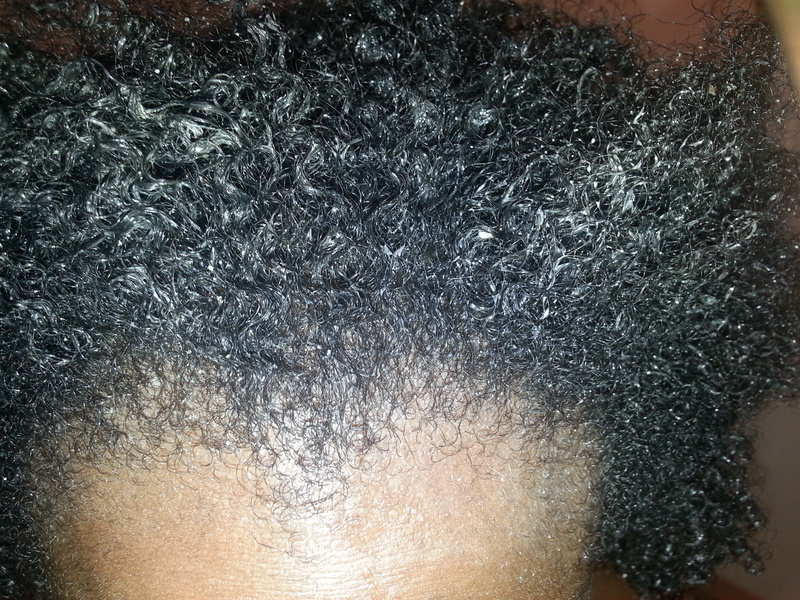 My hair after rinsing the deep conditioner out – no product – AWESOMENESS!!! I am thoroughly pleased with this deep conditioning hair masque. 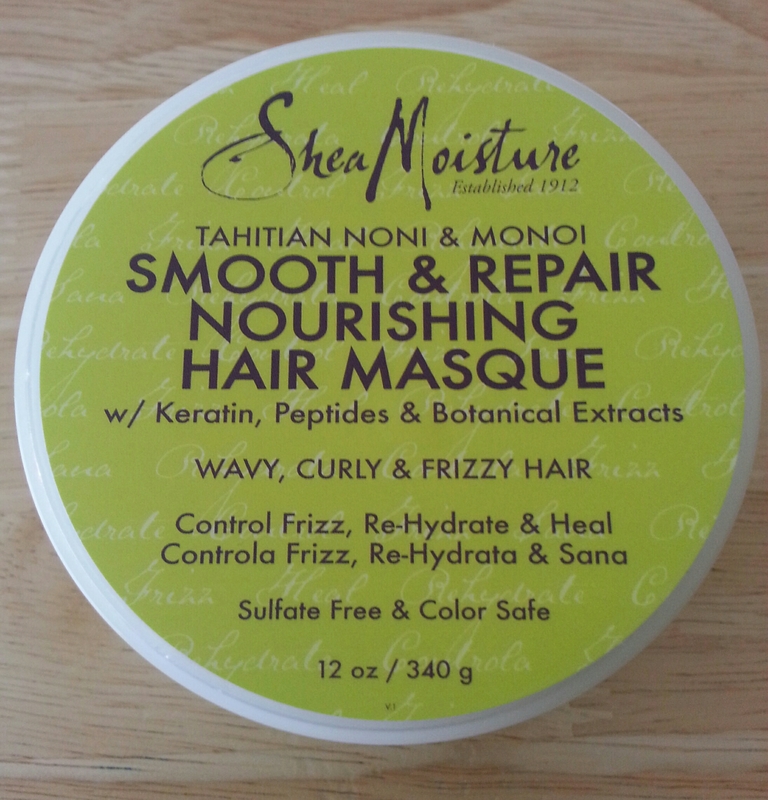 This is another Shea Moisture product that I will be adding to my arsenal being that I continue to get the same results I got today. I just may be saying goodbye to my ORS. Right now my hair is happy, happy, happy!!! I was very pleased with my transaction with this Etsy shop. Elegant Rose Boutique provided excellent customer service. The turnaround time was quick – I received my order within two days. I was also sent a free sample. When ordering from this shop, you can order products customized just for you. These actions say a lot about the company and made me feel good that I chose to do business with them. 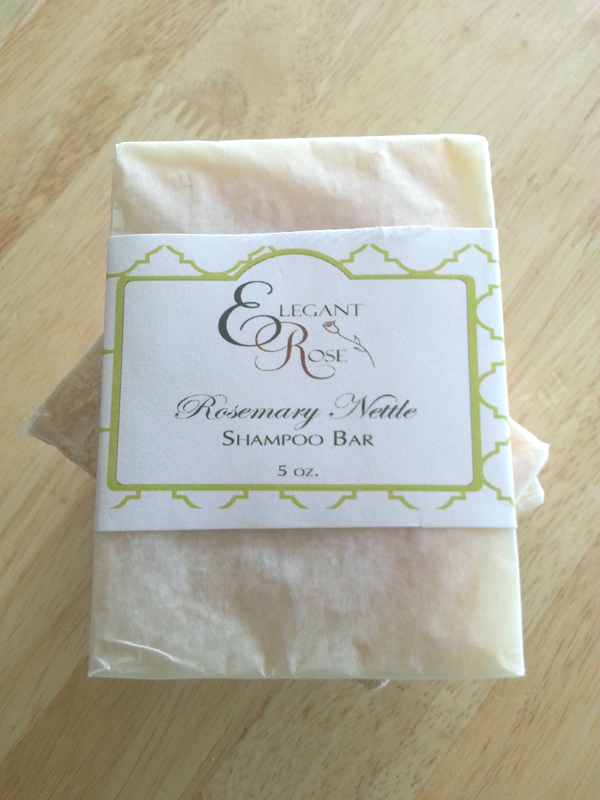 This rosemary nettle shampoo bar is a wonderful combination for any hair type. This bar also contains a unique combination of nourishing and softening oils and butters. Jojoba oil is a penetrating moisturizer that is similar to our hair’s own natural oils, and is rich in protein and minerals. Wheat germ oil is rich in vitamins A, B, E, and D, improving the health of your hair from it’s root, to it’s tip. A mix of olive and castor oil attracts moisture to the hair and is rich in vitamins, while cocoa butter and shea butter help to soften and moisturize. Coconut oil works to create an incredible lather, and palm oil ensures a long-lasting bar of soap. To get a good lather, swipe the bar across your wet hair a few times and lather and scrub. Then rinse. I had a hard time deciding which bar I would use first, but eventually chose the Rosemary Nettle. 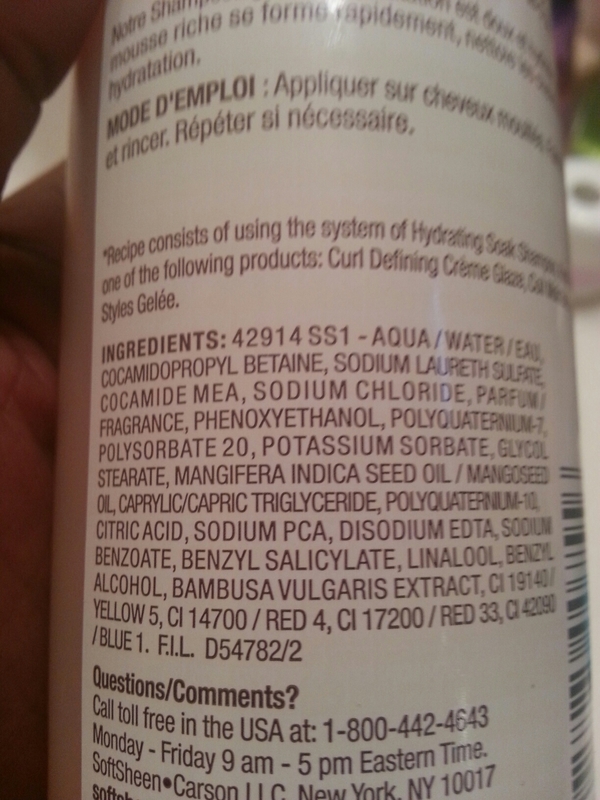 First and foremost, I must say I was a bit concerned when I saw sodium hydroxide in the ingredients list. 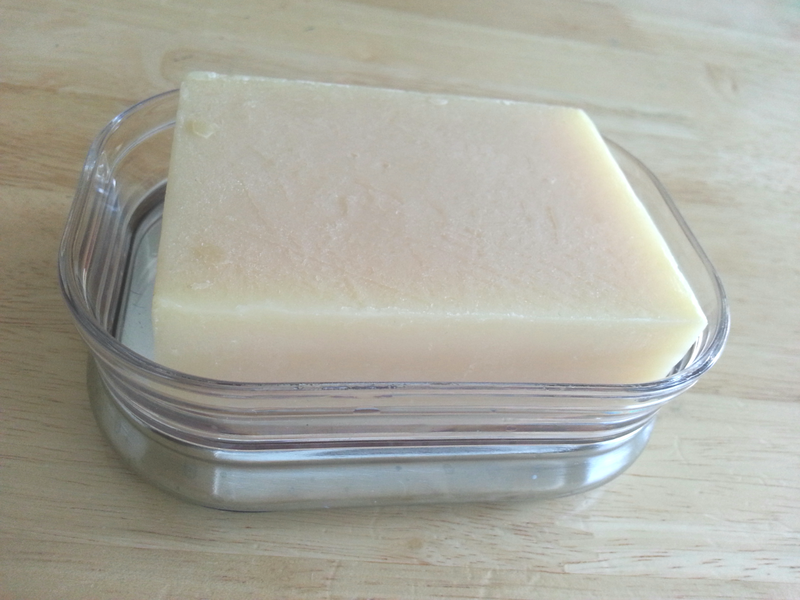 However, I know most soaps are made with it and since it isn’t one of the main ingredients, I figured it should be fine. Well…OMGosh!!! I instantly fell in love with this shampoo bar! It has a very fragrant and soothing scent. The lather was amazing and there was no problem getting a lather even with the oily pre-poo I had in my hair. My hair felt clean, soft, and moisturized after using it. I only lathered up once and that was enough. My hair didn’t feel stripped or greasy and the bar provided pretty good slip, which was unexpected but is definitely a plus. I expect to get many uses from this shampoo bar since it’s a nice size at 5.5 oz. I may never buy regular shampoo again. It made me happy that this shampoo bar is made from mostly natural and organic ingredients. From my research, I found that nettle, which is also commonly known as Stinging nettle or Urtica dioica, is good for controlling dandruff and is said to make hair more glossy. It also has health and medicinal uses as well, such as for treatment of insect bites, hay fever, and eczema; treatment for disorders of the kidneys and urinary tract, arthritis, tendinitis, gastrointestinal tract, loco-motor system, skin, cardiovascular system, hemorrhage, flu, rheumatism and gout. Rosemary relieves dry, flaky scalp; fight premature graying; increases shine; gently cleanses the hair, due to its antibacterial properties; stimulates and improves circulation of the scalp encouraging hair growth. For more information regarding the benefits of the other essential oils used in this shampoo bar, click here for the post I wrote about oils. 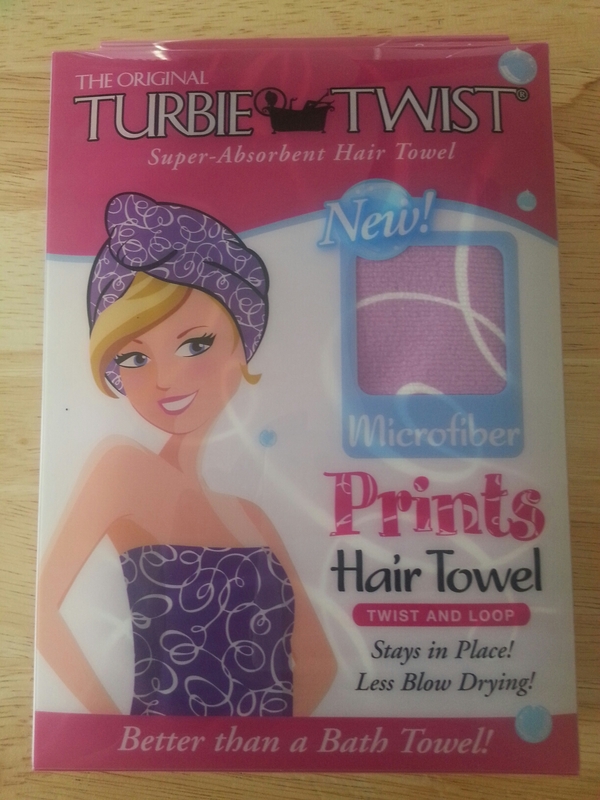 Turbie Twist is the original super absorbent hair towel that stays in place! Featuring a unique tapered design, the Turbie Twist allows for a perfect fit on all head sizes. 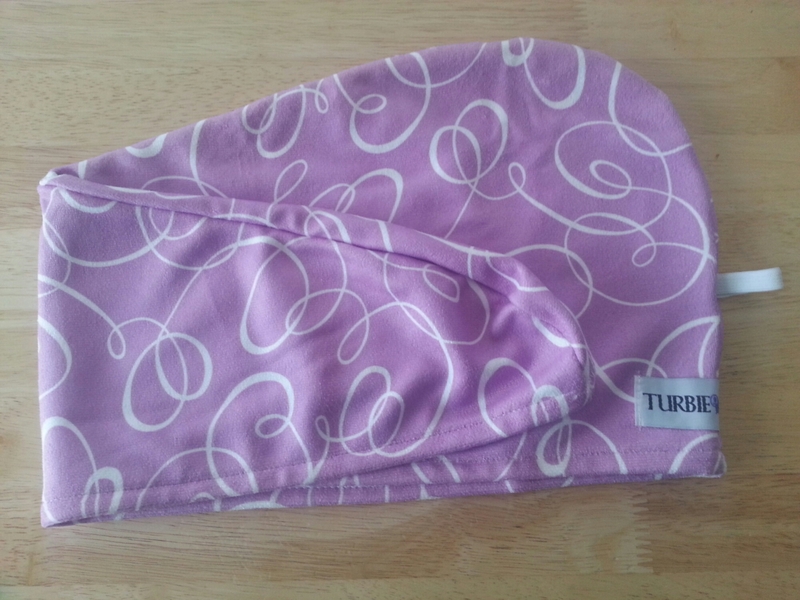 Now made with 100% Microfiber, the Turbie Twist is functional, comfortable, and lightweight! So, this towel is super cute, and SUPER soft!!!! Actually, it’s much softer than my ol’ t-shirt! I love microfiber. Outside of the softness, it also absorbs water well which means faster drying time, and it’s gentle on the hair. I used this towel for the first time on wash day and it did not disappoint. I left it on for about 10 minutes and my hair was pretty much dry when I took it off. As a matter of fact, my hair was dryer than I usually would like it to be. I had to spritz it with water to re-wet it in order to style. The package says SUPER-ABSORBENT and that’s no exaggeration. 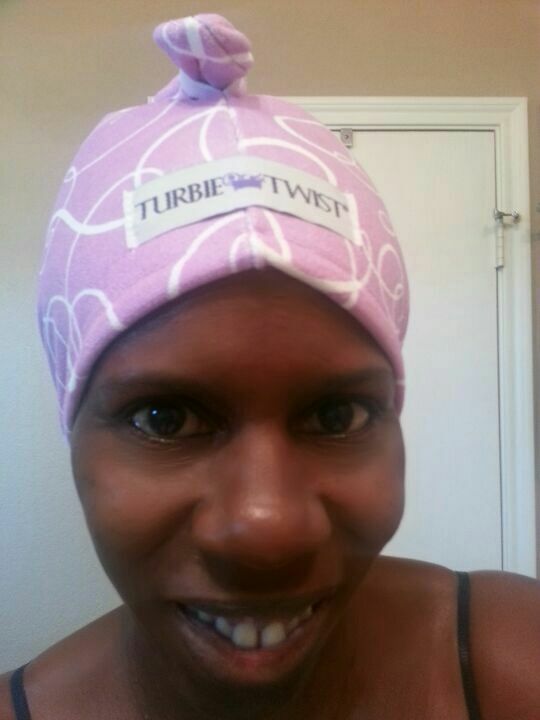 The Turbie Twist is simple to use – just place the hooded part at the nape of your neck, make sure your hair is underneath the towel, twist a few times, pull the twisted part back, and secure in the loop. And whala!!!! It stays put! 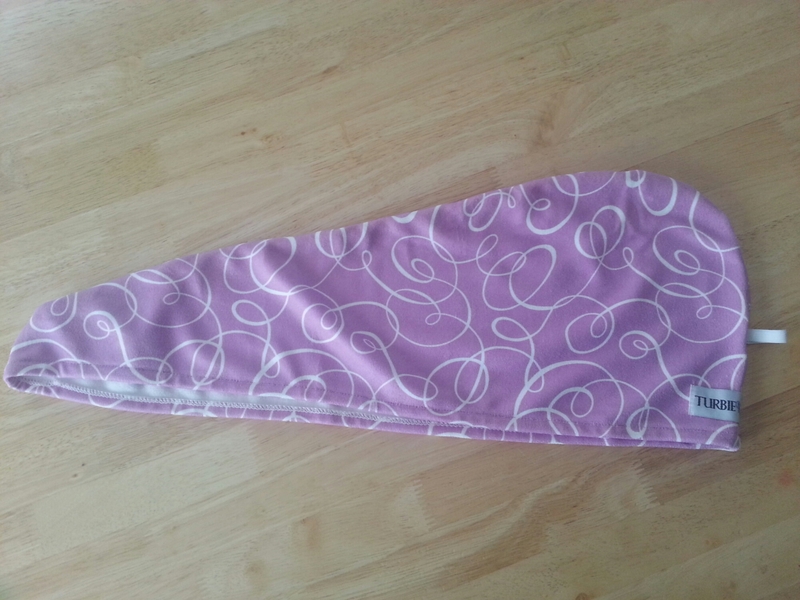 I would definitely recommend the Turbie Twist if you like cutesy hair accessories! The breakage at the crown of my head is getting out of control. *long, deep sigh* This area has always been a problem for me, even when I was relaxed. If my hair is going to break, it’s going to be at my crown. I trimmed a lot of the dead, damaged ends which makes the hair in this area even shorter than it already was than the rest of my hair. I’m not at a point where I want to BC again. But I have to do something! I’ve been on the lookout for a product that would help me recover the hair at my crown since I noticed the problem. 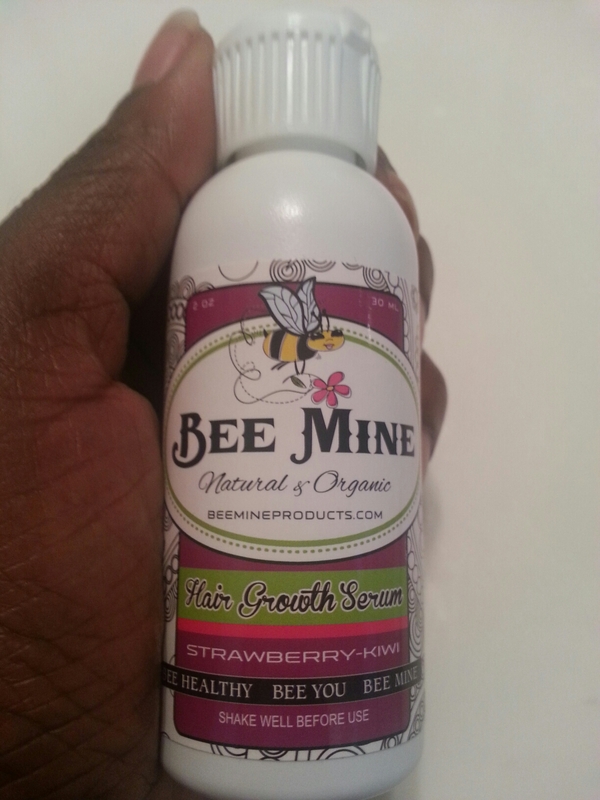 When I came across the Bee Mine brand, I noticed all of the reviews that I’ve seen of this products have been positive. The owner of the company, Tracey, created and used this serum after she started losing her hair due to health complications. Now, I must say, I don’t believe in magical potions for growing hair. The key to a healthy head of hair that grows is all in how you care for it. My hope for this hair serum is that it will help me get the hair to it’s healthiest state. If it actually makes it grow, that’s a plus. 100% Natural and Organic Hair Growth Serum Scent Strawberry Kiwi 8 fl oz. This is one of the Original Serums if you are not allergic to sulfur or have any health problems this would be the one for you. The only difference with this is the scent of the other original “Bee Mine Hair Growth Serum with Sulfur – Strawberry Kiwi Scent”. Please perform a patch test prior to full use. Shake bottle prior to each time. Apply sparingly to scalp only a little goes a long way. Massage thoroughly throughout your scalp concentrating on the areas that need it the most. You will need to use a moisturizer on your hair after each use to make sure during the process any Serum didn’t get on your hair. If you have high blood pressure, maybe pregnant or breastfeeding please get clearance from your Doctor prior to using any of our Serums. If you are doing any chemical service to your hair such as a perm, relaxer or dye job please stop using the Serum 7 days before the chemical service and shampoo prior to the service and wait 7 days after the service and shampoo before you start using the Serum again. The consistency of the serum is like an oil. It has a slight sulfur scent but not it’s not overwhelming. I applied it to my scalp for the first time today. The bottle has a flip top cap that made it easy to apply. I added a few drops and massaged it into my scalp and then applied my leave-in and sealed my ends. There was no tingling or anything as I expected. I plan on using this 2-3 days a week in my crown area and on my side edges. I will provide frequent updates about how my hair responds to the serum.